It's been a while since I've used my spinning wheel. But I'm really not a summer spinner. I don't like being surrounded by piles of wool when it's hot and humid outside (even in air conditioning). 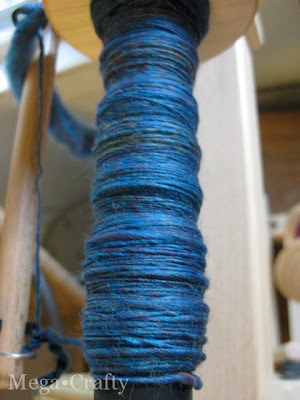 But now that fall is slowly creeping in I've been having the urge to spin big time. So today when I woke up and it was a rainy dreary morning I pulled out the wheel out and started a new project. I chose some deep blue merino (which is my favorite type of fiber to spin) with a little purple and even some yellow-green swirling through it. It's working up into a pretty yarn with a subtle variegation. It was really nice to sit and spin all cozy with a pile of wool. I have used a drop spindle before. It's actually the very first thing I ever spun with. It's a very neat little tool, the very day I tried one I ended up buying one. I really liked it and I think it's a great thing to do before you try a wheel, I feel like it helped me understand the principals of spinning in a slower more controlled way than on a wheel. Ultimately the drop spindle was just too slow going for me, but there are plenty of people who prefer the drop spindle and only spin with that. 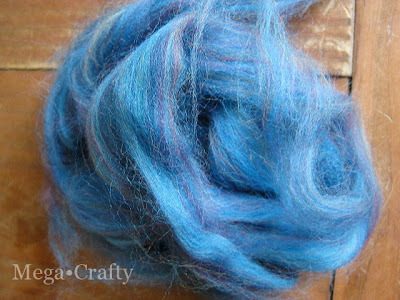 Although slower the advantage of a drop spindle is that it's portable- stash it in a bag and you can spin anywhere! I took a spinning class this summer but didn't get tons of time on the wheel. I still can't master the drop spindle. I guess I just have to practice, but there's always knitting to do! 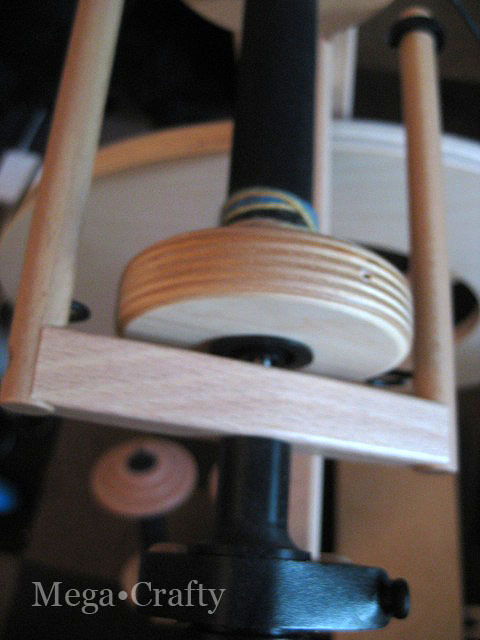 I have just purchased a drop spindle from ETSY and am so excited to receive it and start. It has been a thing I would love to be able to do for so long now. Wow Jane, I didn't know you took a spinning class over the summer. Sorry to hear that you didn't get a lot of time on the wheel. The one I took a Saturday and Sunday 4 or 6 hours long and except for a lunch break we spent the entire time on the wheel. I really left with a good sense of the basics. Jo how exciting! I had wanted to try spinning for a long time before I actually did too. 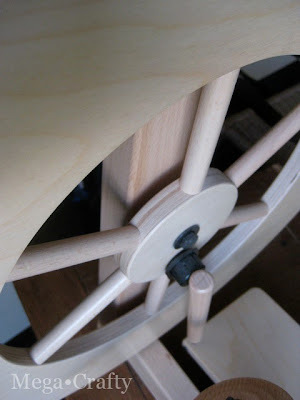 I kept seeing wheels and really had no idea about the drop spindle until I saw a demo. But I was hooked right away. Good Luck and Happy Spinning!